The craze of video editing has grown very high, to which the availability of high end video editing tools has pushed to a more height. The web now serves as a source of a great amount of media files including audio and video music files and movies. Since, movies are of a very large size, so uploading and downloading a single large file becomes very hectic and time consuming, while dividing it into parts makes it easier to be downloaded and uploaded. But there are certain splitters that make it difficult for the movie, after it is divided into parts, which demands for a video joiner to merge all the parts into a single file and enhance the experience of viewing video files easily. Aimersoft Video Editor offers a list of features that a video editing professional needs from a pro tool, which include basic as well as advanced editing functionality. 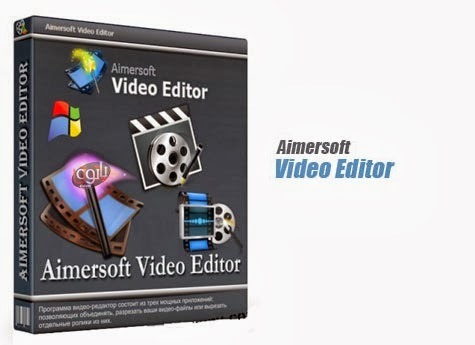 This tool is available to be used on both Mac and window based systems, while the link http://www.aimersoft.com/edit-video/mix-video.html provides you more information about this tool along with a guide to join different video files. Before making a purchase for the video editing tool, buyers need to consider different aspects like the usability, features and functioning of the software. Video Editor from Aimersoft incorporates various features that impress professional editors, a few of which are discussed below. The main feature that adds to the precision of editing a video file is that this tool offers different tracks for editing video, audio and image aspects of the file uploaded. This makes the editing of the different parameters of the video file easy and thus, adds to the convenience of the user along with providing high quality results. Easy to use tools are available with this editing software to allow ease of editing and modifying video files to meet the customizations required by the user. There are various tools that offer a simple usability for trimming various components of the video, cropping, rotating video files to enhance visual aspects and many other features for an enhanced video. Along with different basic tools discussed in the above point, this tool offers a number of advanced features that can be used to give a professional touch to your video file. Different advanced features include the availability of special effects, filters, transitions and watermarks to personalize the video for enhanced viewer’s experience. After the editing features of this software, there come the sharing features that offer a satisfying range of functions for saving, sharing or uploading edited video files. The video file after being edited can be saved in any of the commonly used video formats supported by this software. Other than this, the video can be burned directly to a DVD or can be exported directly to a media playback device like iOS or Android based devices and many other supported devices. The output file can be directly shared to YouTube or any other video sharing website to share with contacts on the internet. To know more about this tool, go to http://www.aimersoft.com/edit-video/merge-video.html, where you will also find a guide to merge different video files on a Windows/Mac based system.